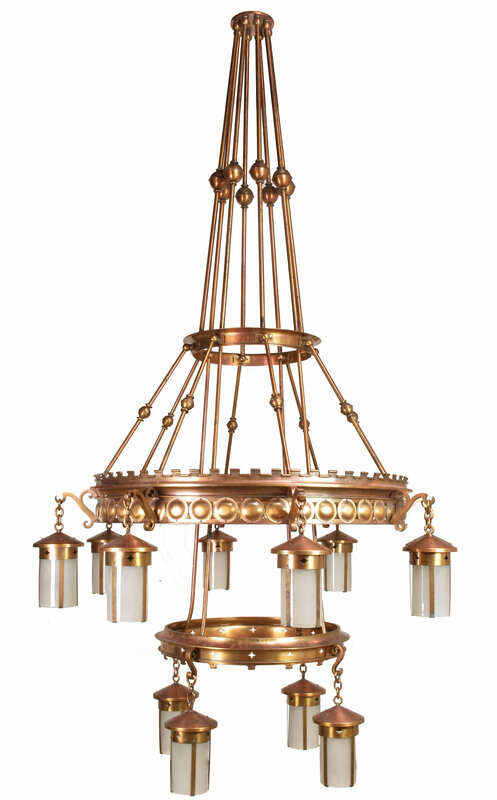 Twelve 7'‘ by 12” lanterns on this oversized Arts & Crafts (1910) chandelier will provide beautiful illumination for any large space. 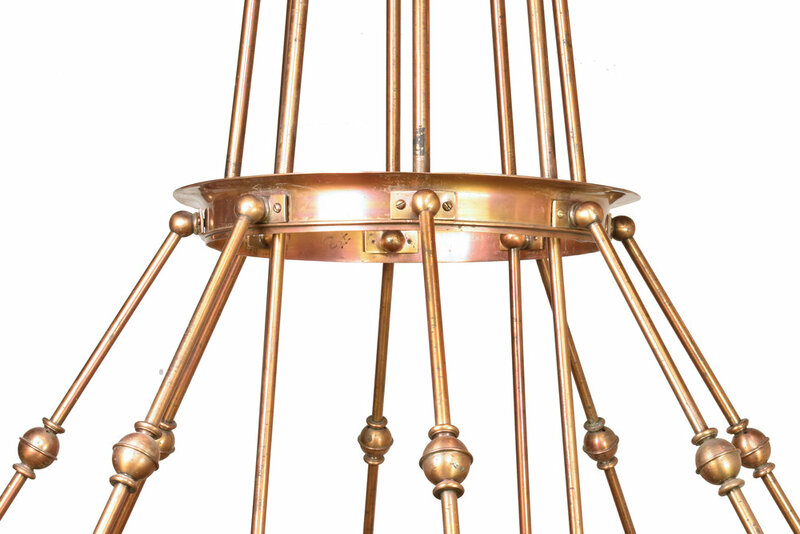 The fixture has a gorgeous, rich patina. 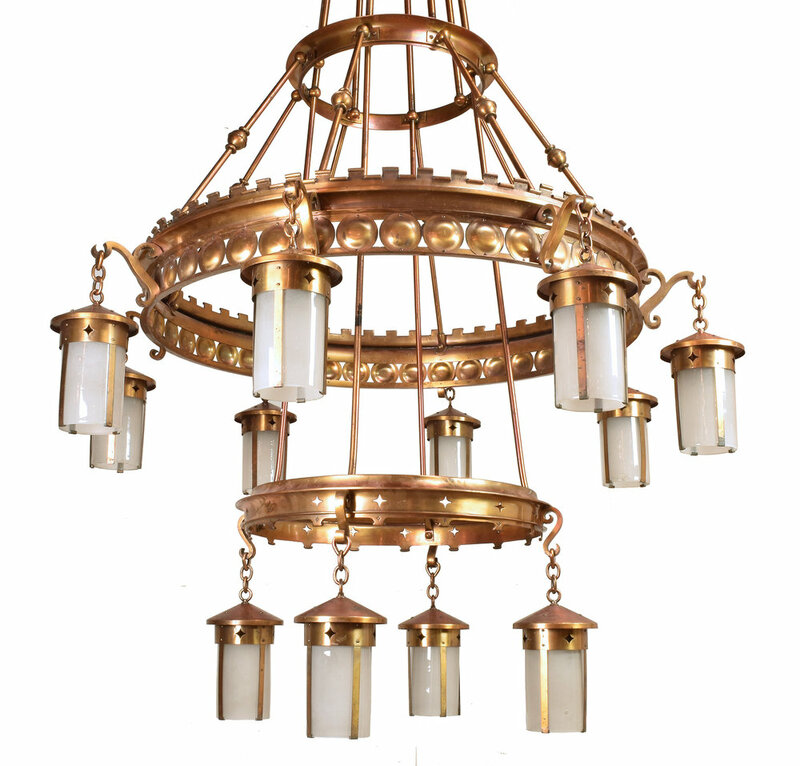 A matching pair make these even more of an statement of pure Arts & Crafts lighting. 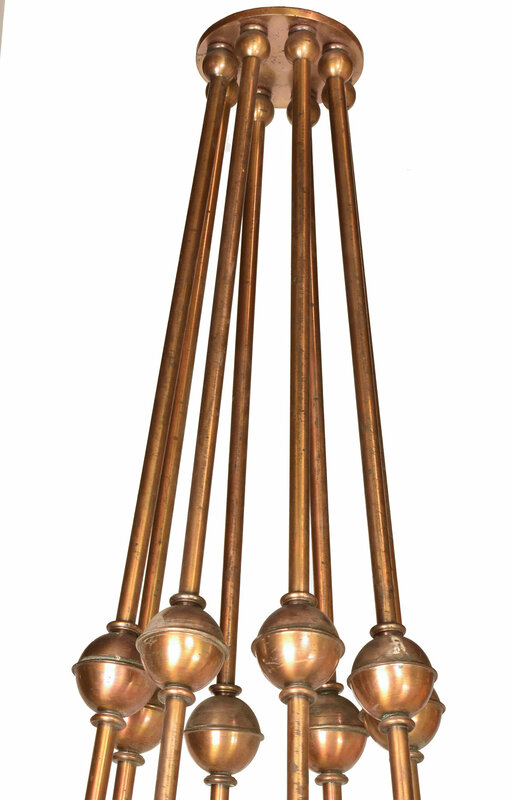 These light fixtures came from John Harris Hearding Grammar and High School in Aurora, Minnesota. The school was named after the superintendent of the Adams Mine in the Mesabi iron range, and he was also an active member of Duluth school boards and other local businesses. The school was designed by another Duluth native, Anthony W. Puck of Puck and Holstead. It was built in 1911 in the English Renaissance style. Fast forward to the ‘90s, and the school was in danger of being torn down. As incentive to purchase the buildings, the school district was willing to sell the two buildings to a qualifying developer for $1. Because the buildings were in the National Register of Historic Places, they were eligible for federal rehabilitation tax credits. Sadly, this wasn’t enough for someone to purchase the school. The building was demolished in 2001, but luckily these lights were saved. Be sure to include the Product ID (AA#48018) when making your offer.